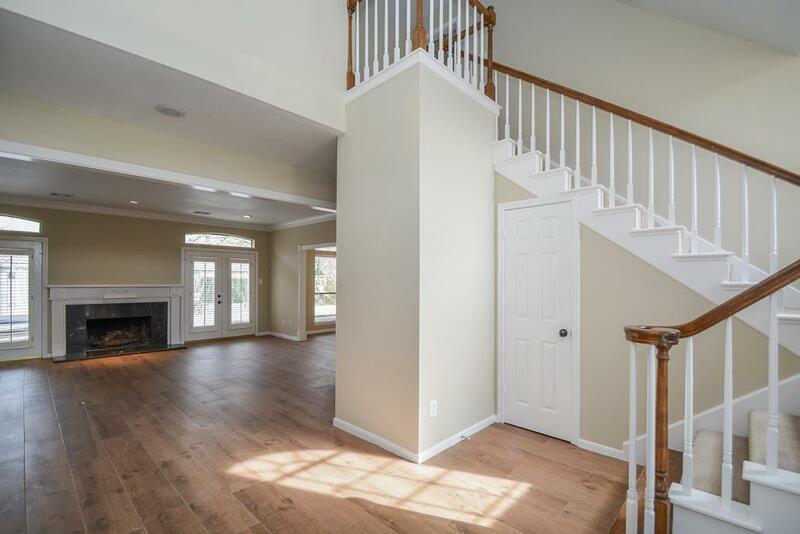 Welcome to 32818 Waltham Crossing. 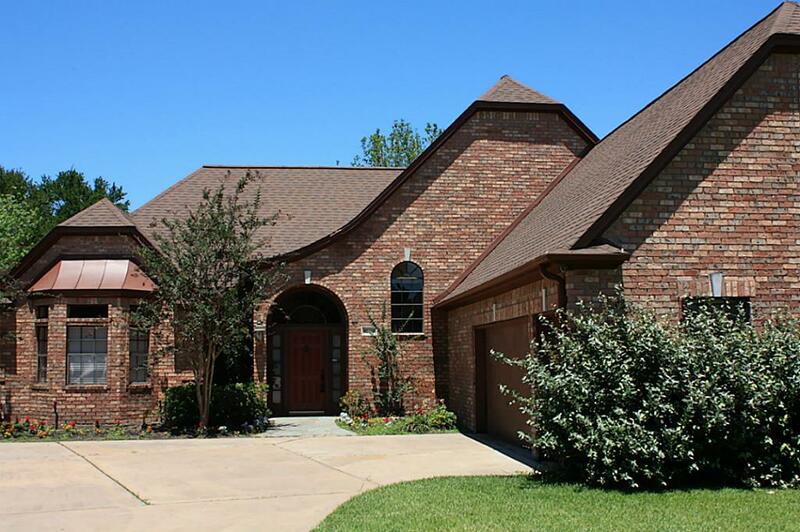 This spacious homes has 4 Bedrooms and 3.5 Baths. 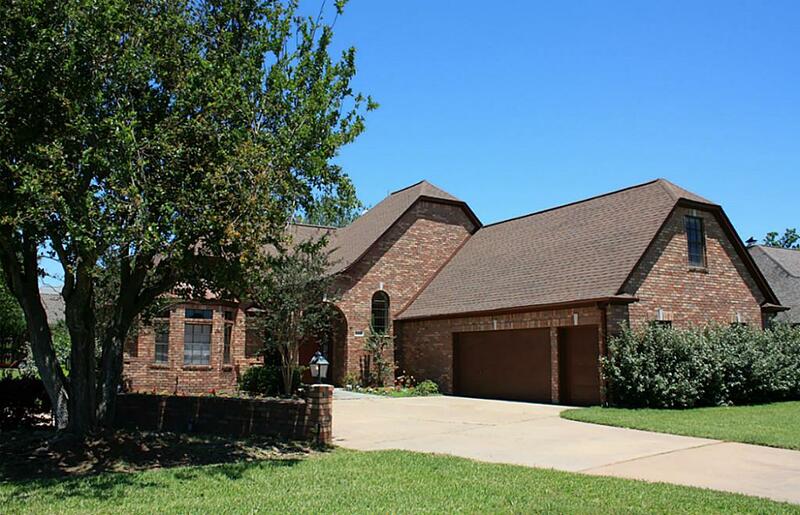 Wonderful Lease Home..Numerous updates located in upscale Weston Lakes. 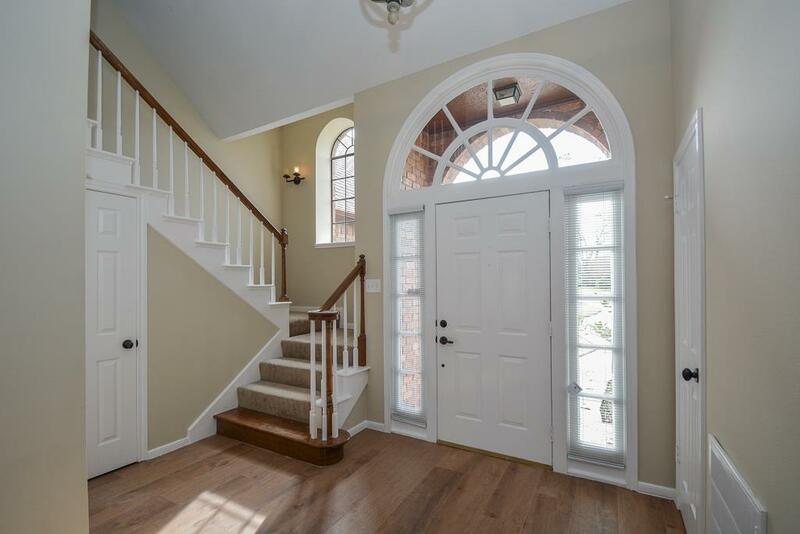 The home is light and bright throughout as witnessed by the classy foyer shown here. 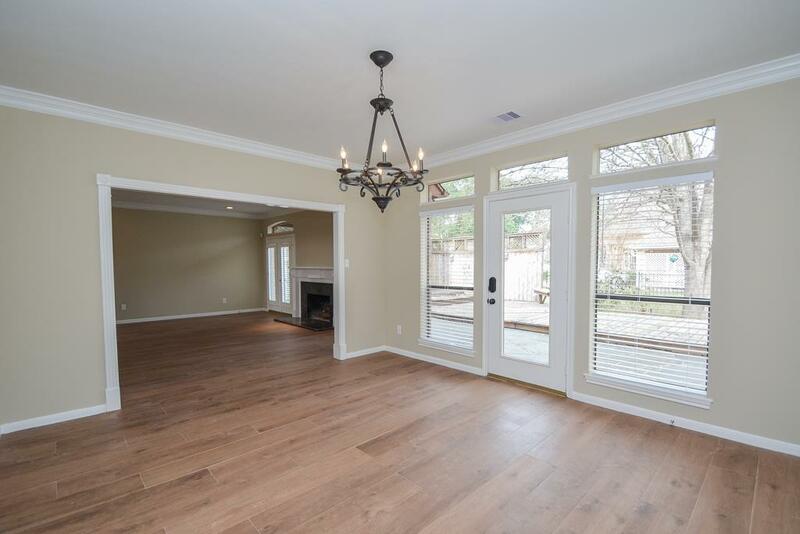 The 2-story home is fresh with new paint and new flooring along with other upgrades. You will be impressed. 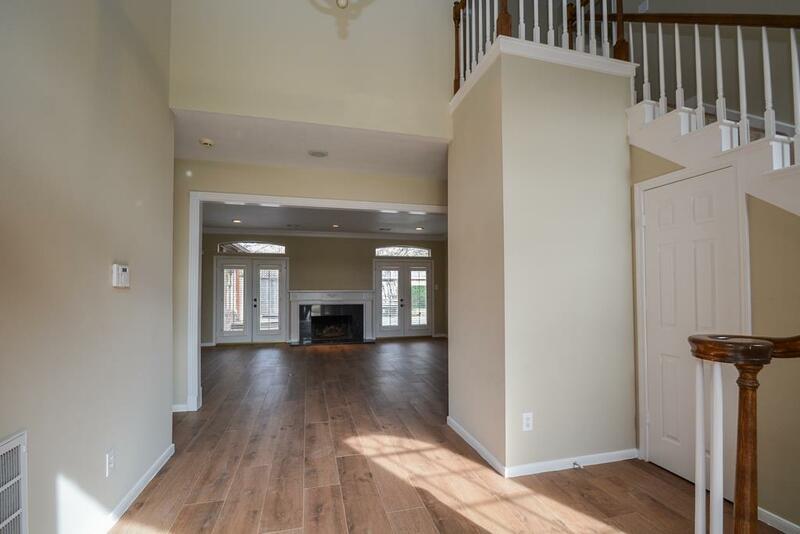 The very large (19x15) Living Room is located just pass the foyer. 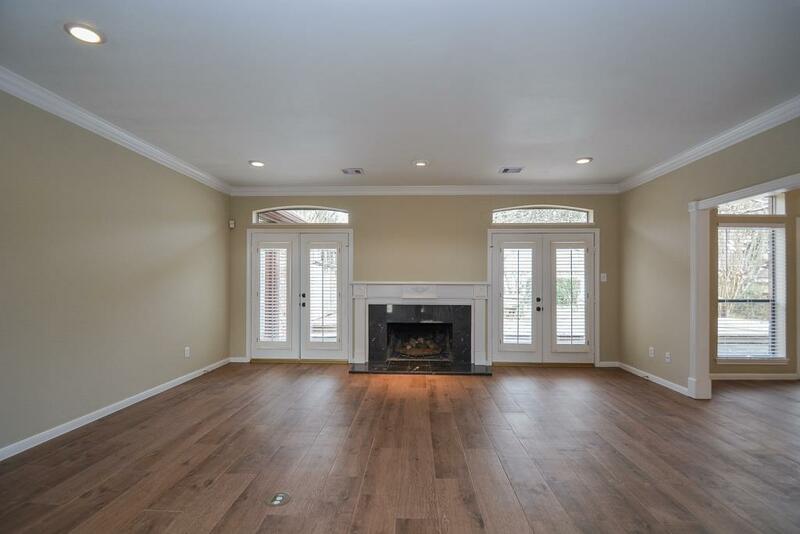 In the Living Room, the fireplace is the focal point. 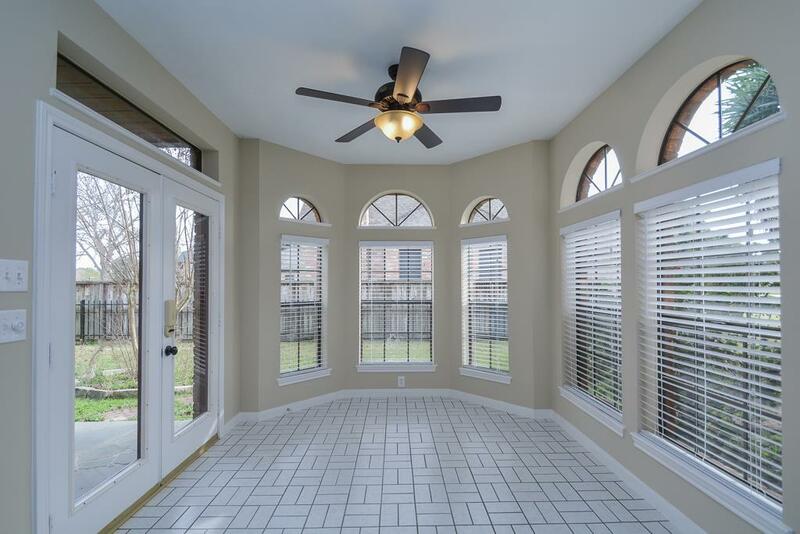 Notice the French style double doors that lead out on to the patio. 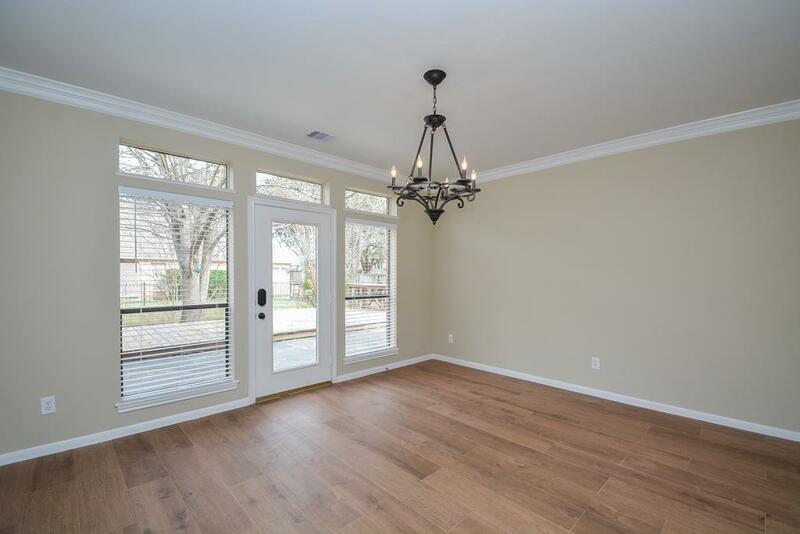 This view of the Living Room shows the location of the beautiful built-ins. 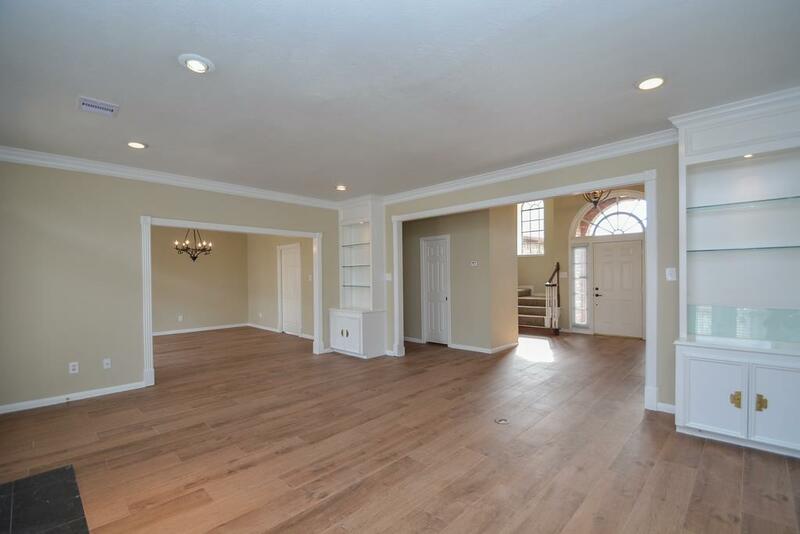 Just past the Living Room is the Formal Dining Room. 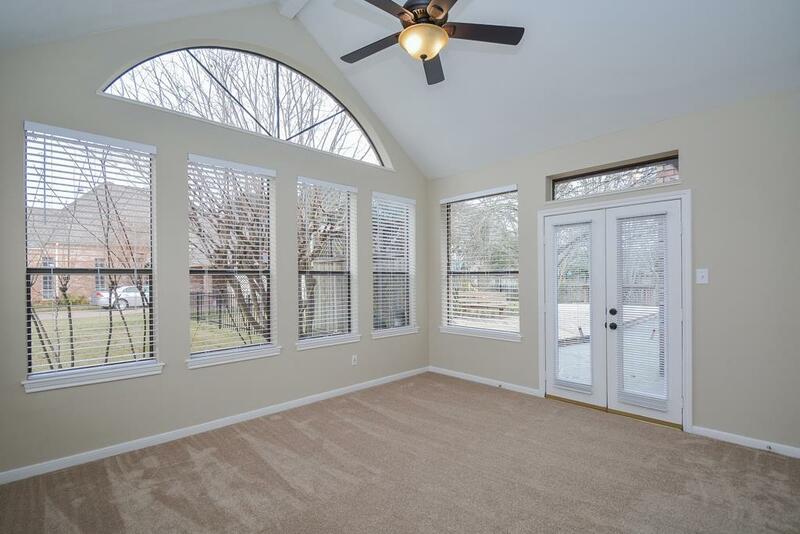 Notice the view of the backyard patio. 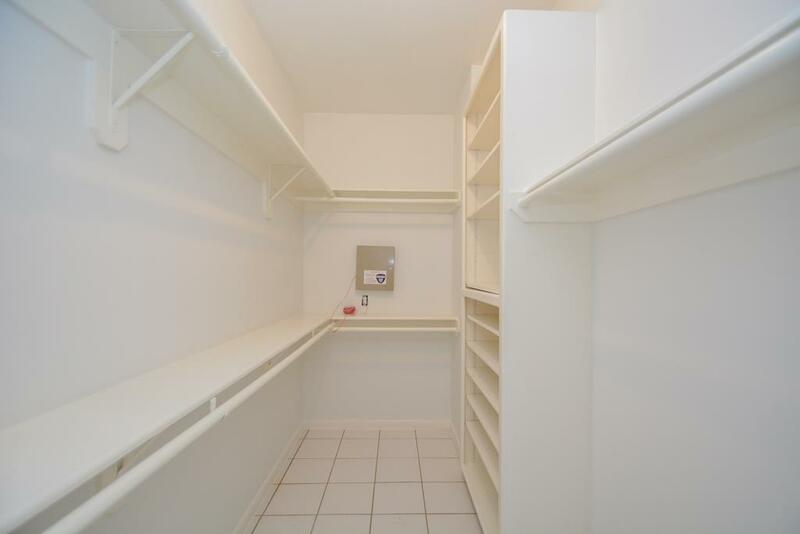 The Utility Room is nicely sized at 8x7. 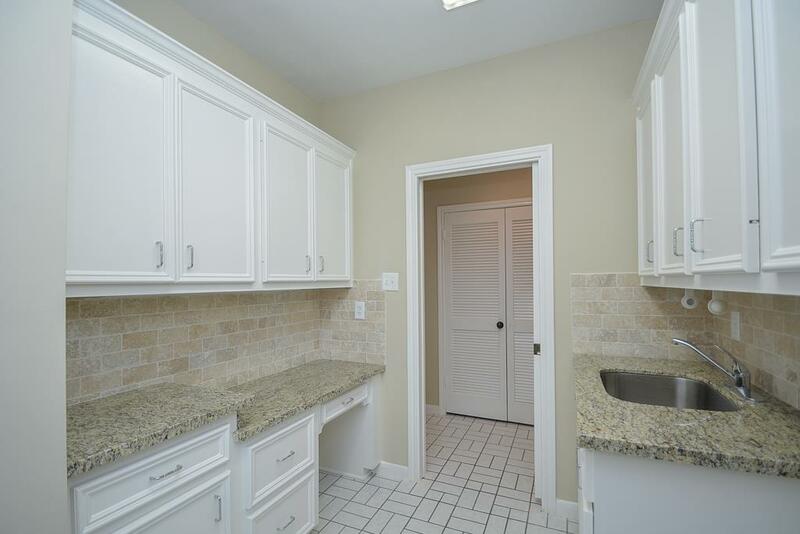 Notice the laundry sink and abundance of work surface and cabinets. There is a gas connection for the gas dryer. 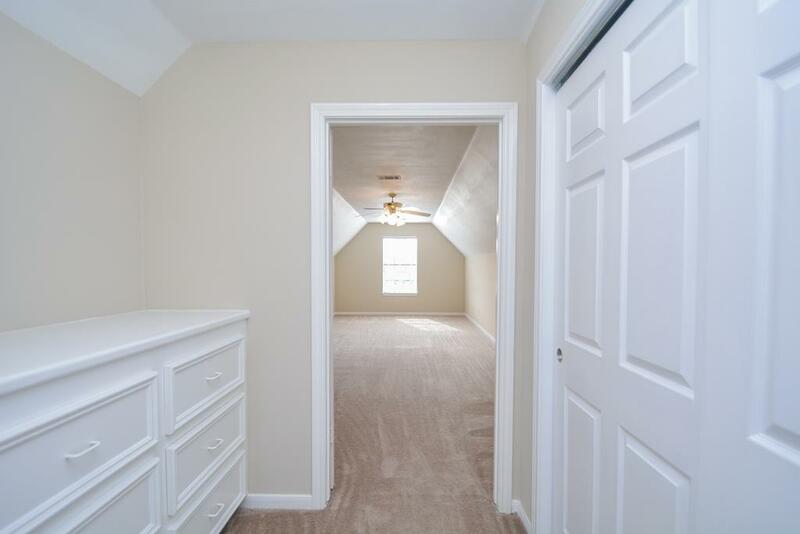 The Powder Room is conveniently located just off the Foyer and near the Living Room. 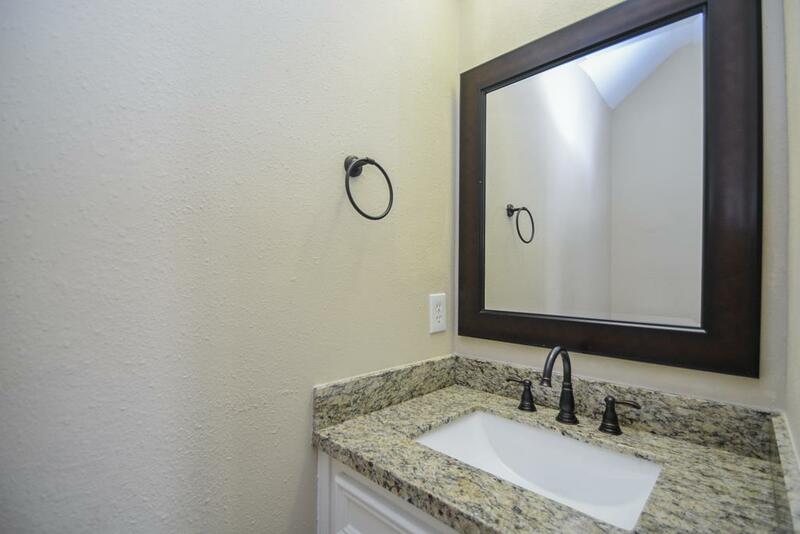 Very classy with it s gorgeous granite and upgraded faucet and mirror. 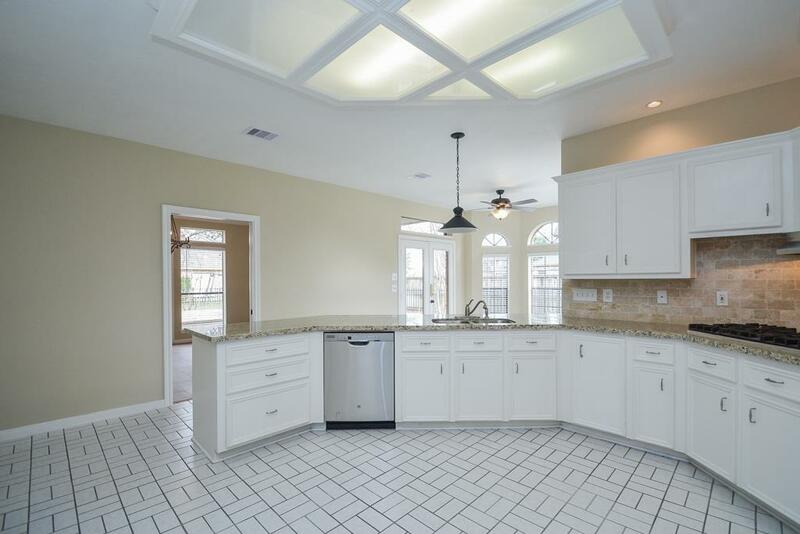 You will be impressed with the light and bright kitchen. More of the upgrades on display here. 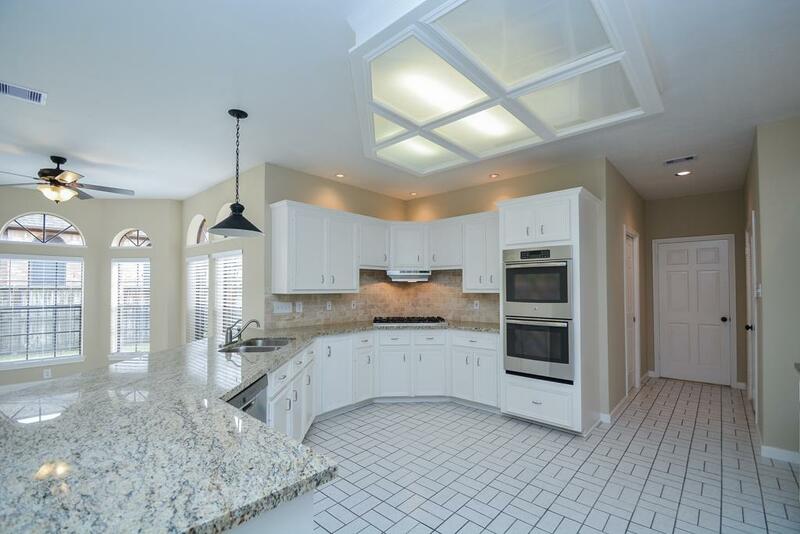 The expansiveness of the counter tops (gorgeous granite) and fresh white cabinets will be perfect for the in-house chef. 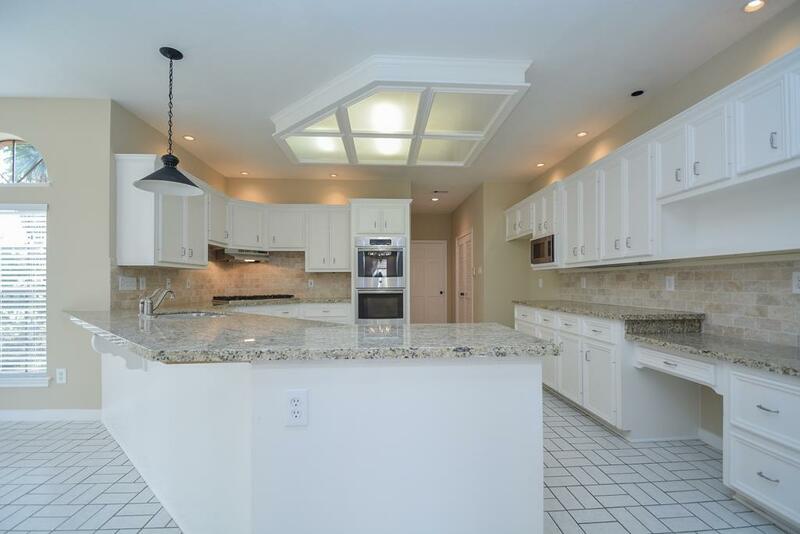 Another view of the kitchen. 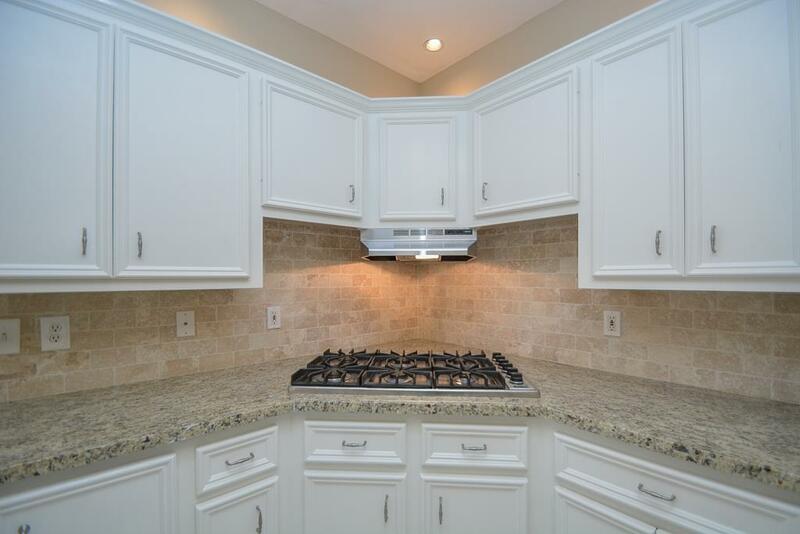 The appliances are new. Here is a close up view of the 6-burner gas cook top. The vent also provides for a lighted work area. 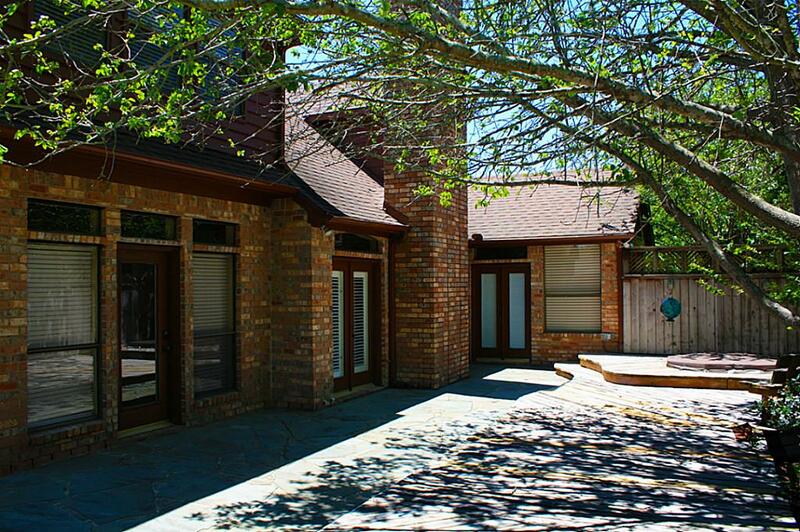 The ever so convenient breakfast room is located adjacent to the kitchen and offers a relaxing view of the back yard. 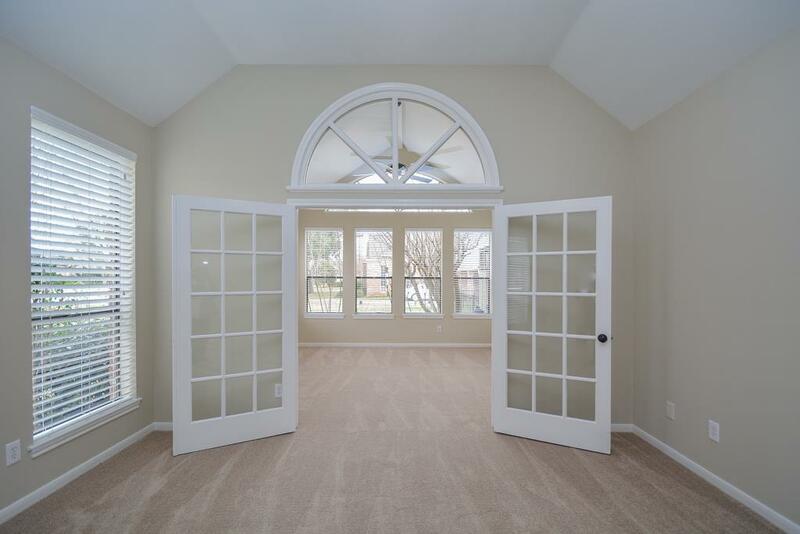 The Large Master Bedroom (at about 17x14) offers a Flex Area (at about another 14x13 sf). 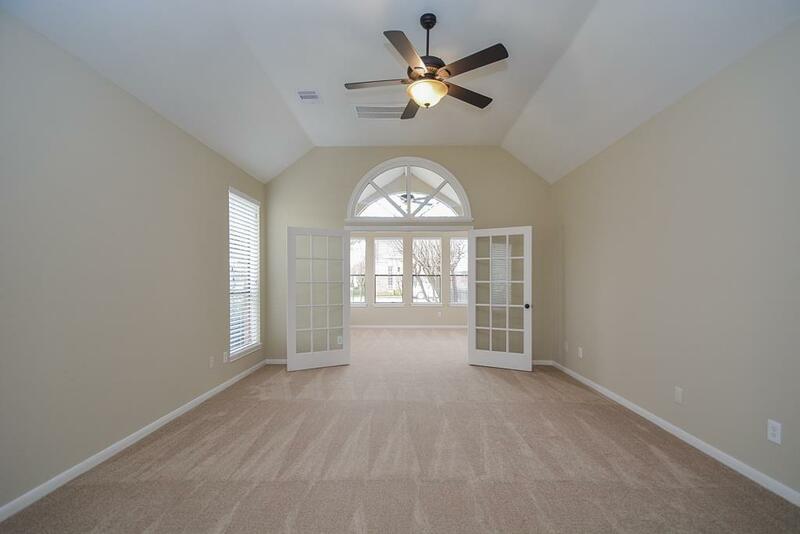 Another glimpse of the Master Bedroom. 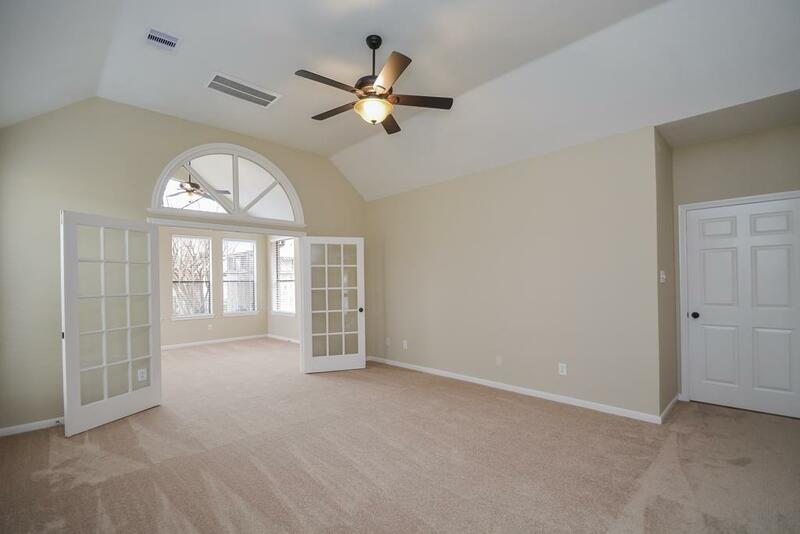 This is a view of the Flex area off the Master Bedroom. Perfect for exercise, reading, other. 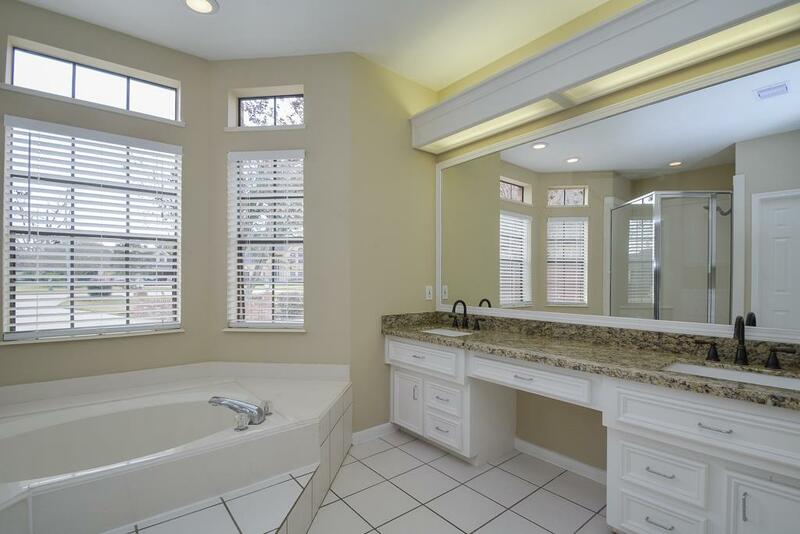 The Master Bathroom. 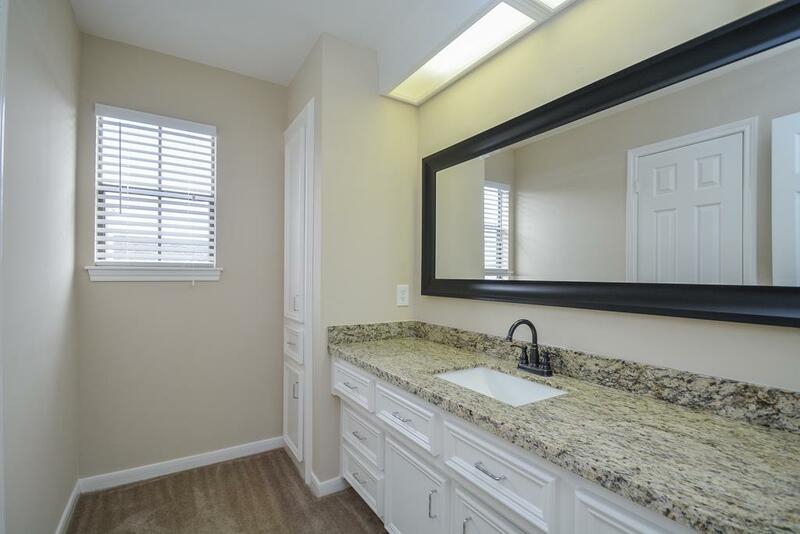 It has the soaker tub & walk-in shower. 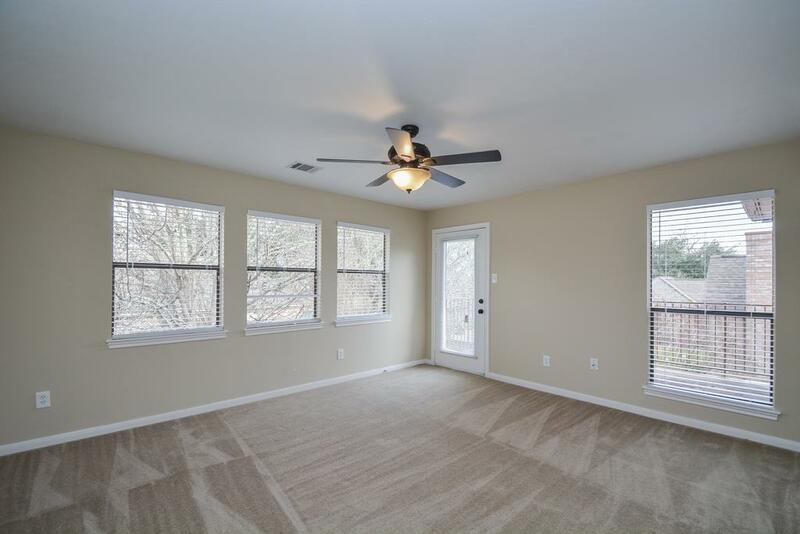 Upstairs, there are 3 Bedrooms, 2 Full Baths and a Large Flex Room. 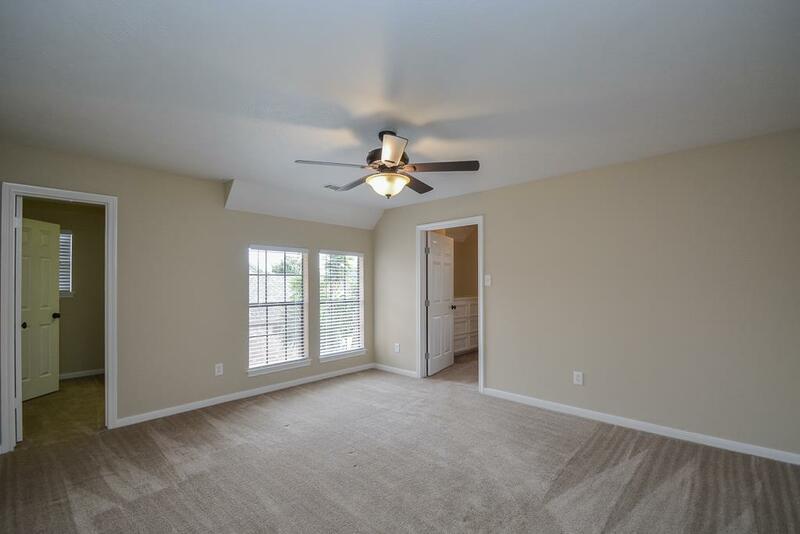 One of the 3 Bedrooms located on the second floor. 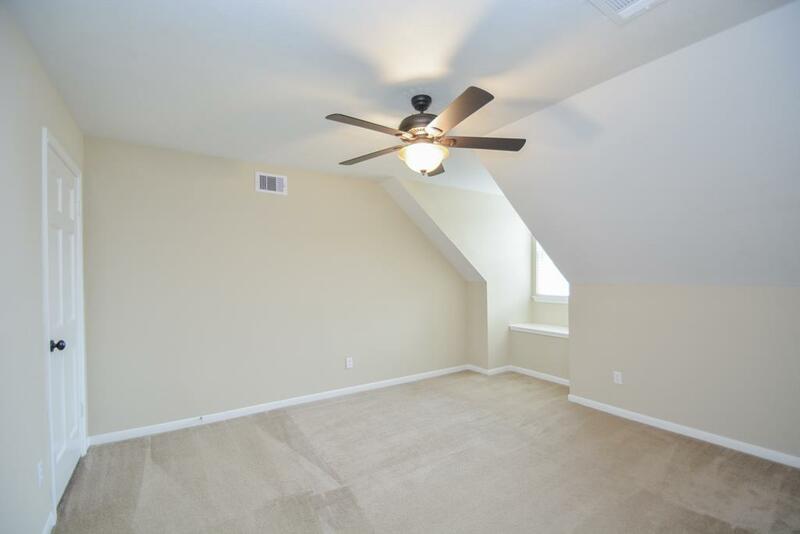 Another one of the upstairs Bedrooms. 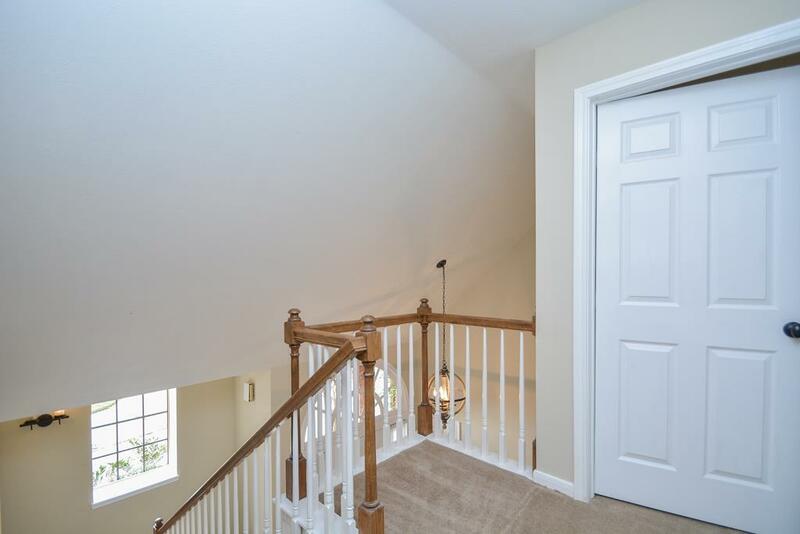 Upstairs there are 2 full baths. A glimpse into the Flex Room which is upstairs. A great area with privacy for relaxation. Take a look at this patio. Perfect for outdoor entertaining. 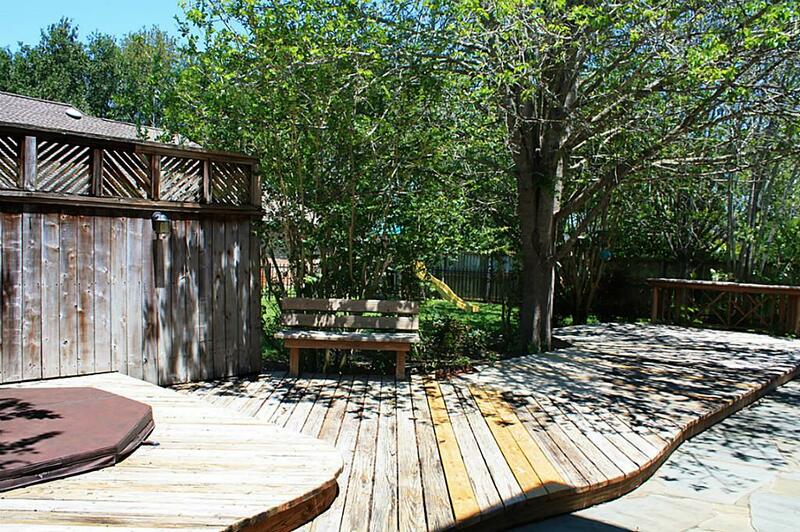 Another glimpse of the the backyard patio. Very treed providing ample shade. 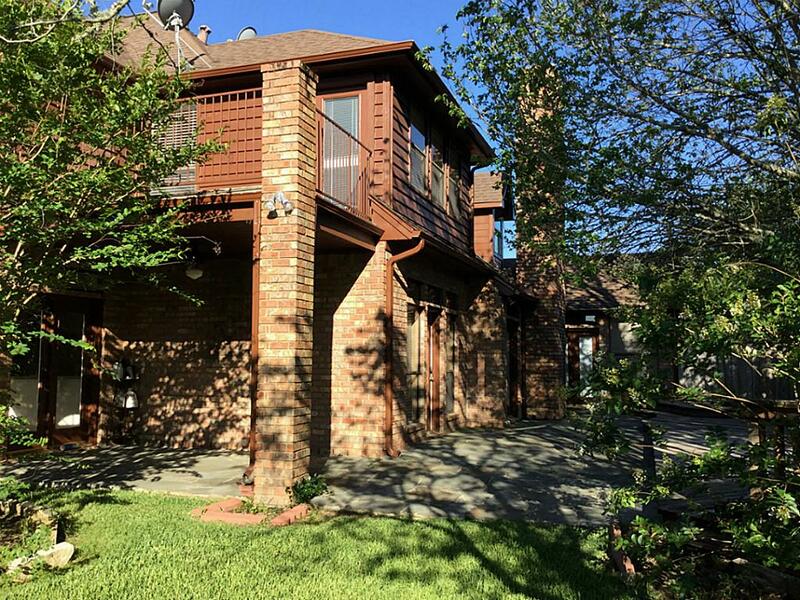 This property at 32818 Waltham Crossing is conveniently located within the community of Weston Lakes. 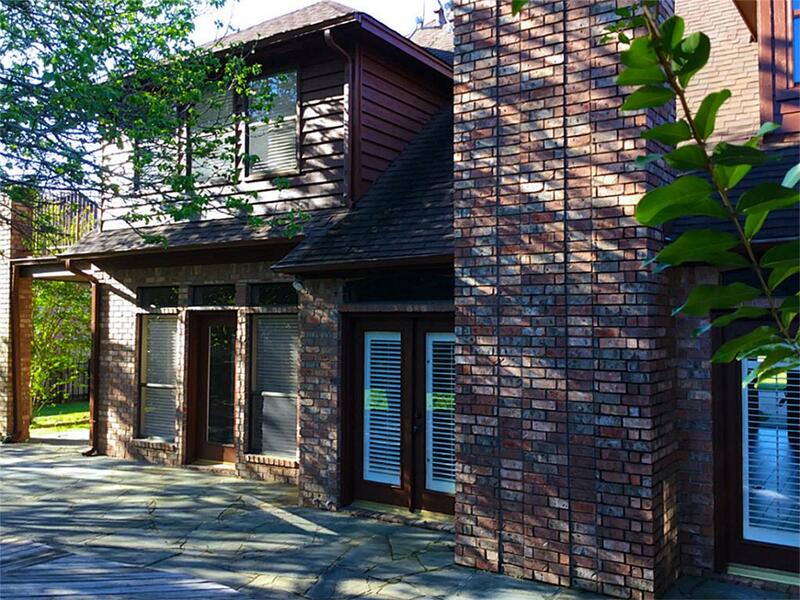 The perfect place to lease and call it home!